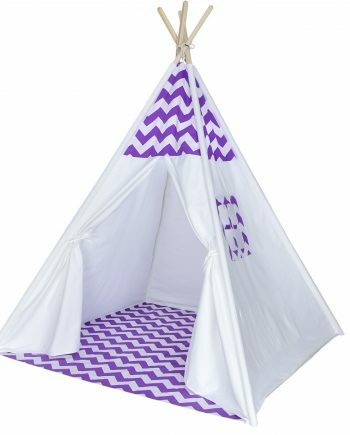 Our canvas teepee tents are perfect for your playroom or a trip to the park. 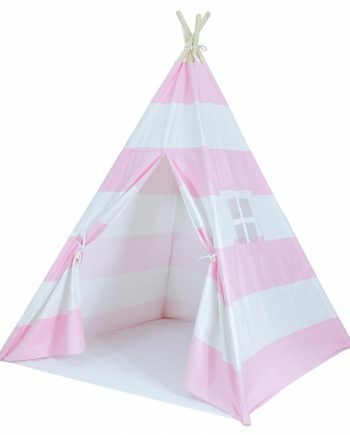 Your kids will love letting their imaginations run wild when they play in their pink and white striped teepee. Complete with doors and windows, they will quickly make it their own space. 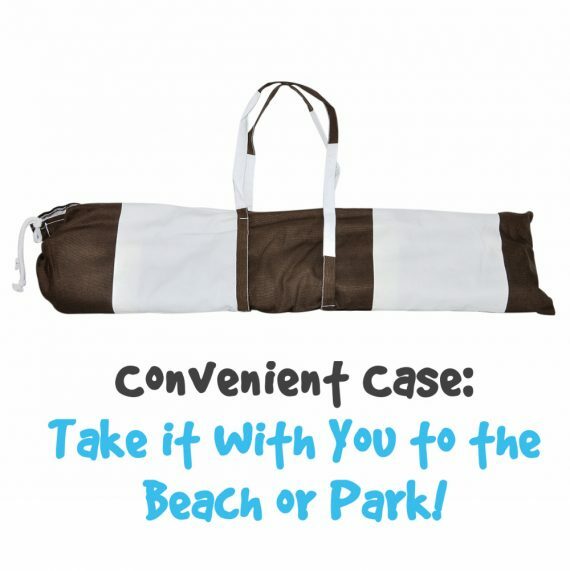 Plus, it’s big enough that you will be invited in too (4 feet across the bottom and over 5 feet tall)! Our pink and white play tent is perfect for your playroom, your daughter’s bedroom or a trip to the park. 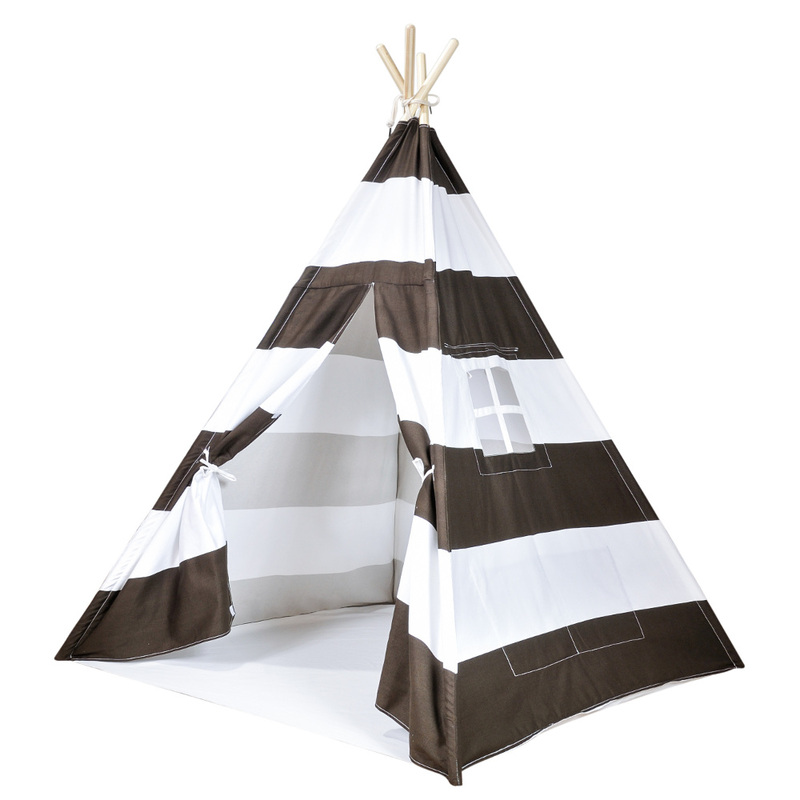 Your kids will love letting their imaginations run wild when they play in their brown and white striped teepee. 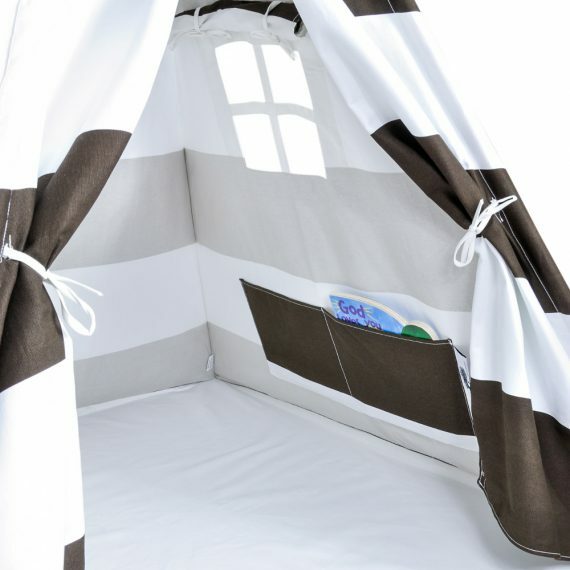 This tent has large brown and white stripes. 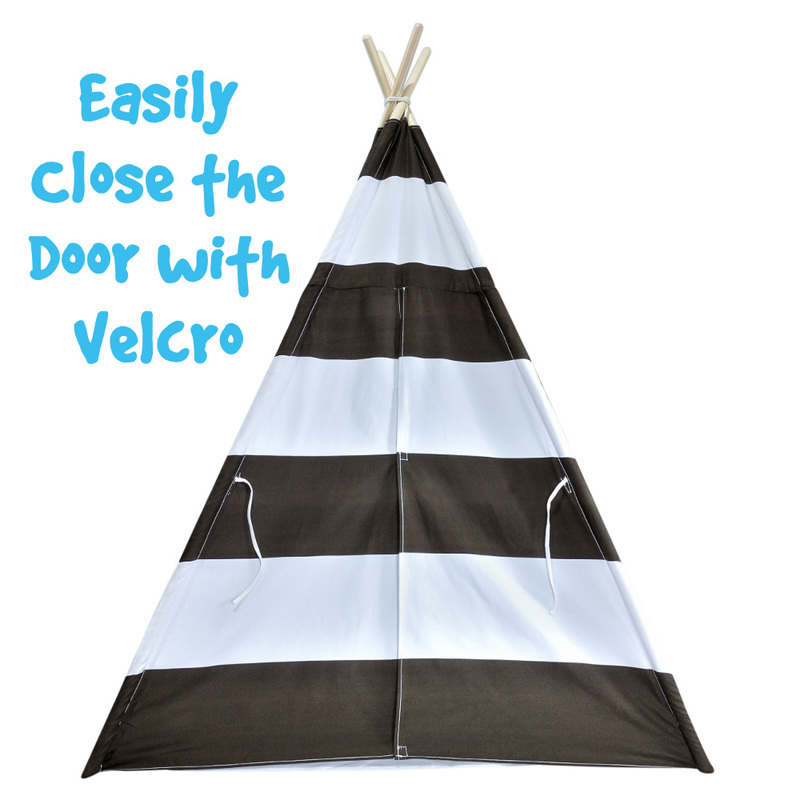 If you’re looking for more color, check out our navy, pink, and black striped teepee tents. We designed teepee lights just for this 4 pole tent with lights running down each pole and a really clean installation. 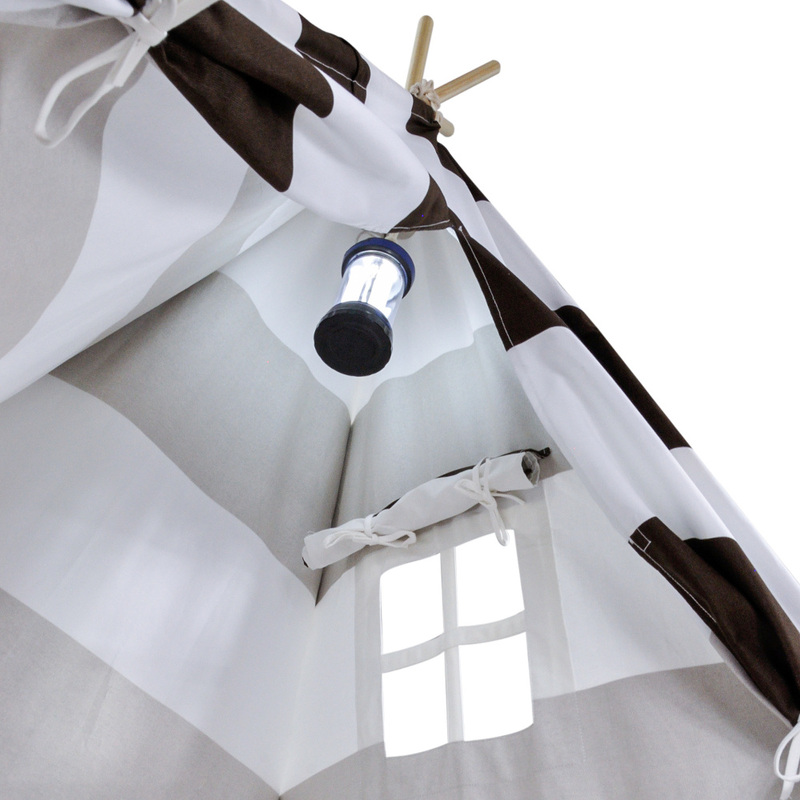 It makes the teepee beautiful during the day and really magical for your kids at night. Be sure to check them out too! 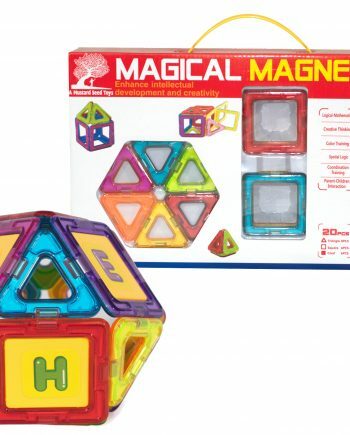 Another great Mustard Seed product and easy to assemble….my grandson will love it! Super easy to put together. Very roomy! And as you can see we were able to put that giant dinosaur in there! It was the first thing both of my boys (5 & 2.5) ran to Christmas morning. 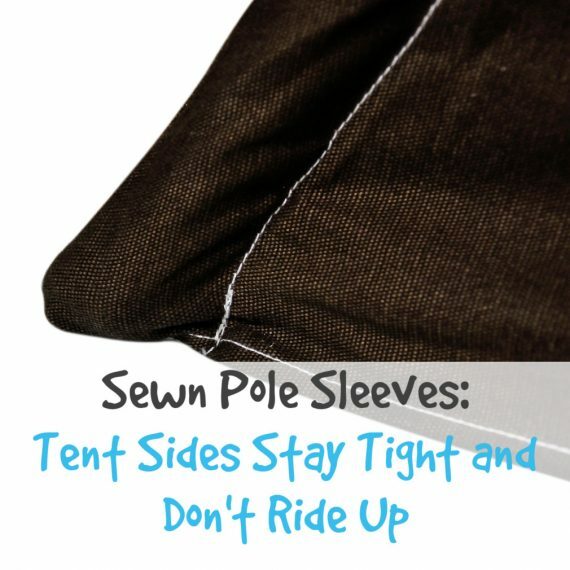 Good and durable tent, a hole or two were a little snug on getting the poles in but eventually all went fine. Need something to help keep it propped open evenly. My boys won’t be breaking this anytime soon. 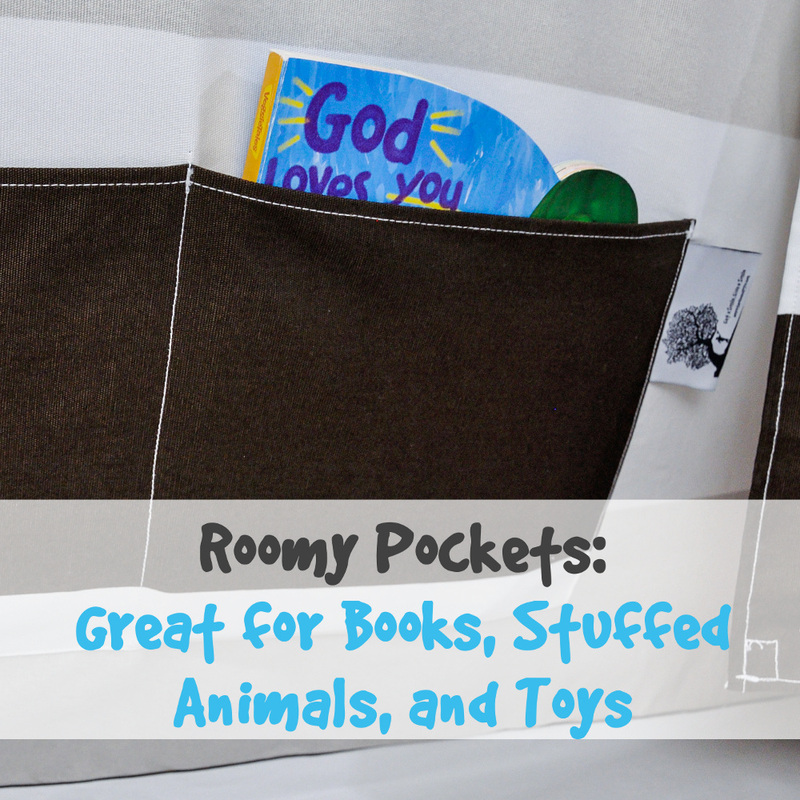 like material and tent only down fall is keeps moving, have in children’s room. Not sturdy enough maybe need sand bags to keep down lol. The minute my grand kids opened the tent, we put it together and my grand kids were screaming with joy! They played in it until bedtime! thank you so much for creating this great toy! Love that it doesn’t have any chemical smell and easy to put together! High quality too! Highly disappointed. I bought this as a gift from “Santa” for my son’s room. We received the item, in a box, and of course waited till Christmas Eve to open and assemble. Well took my husband about 30 minutes to set up. The directions were very vague on how to tie the actual top of the teepee, anyway, he ended up googling how to tie it right. I wake up the next morning to video my son’s reaction and what do you know, there is a huge ugly mark on the front of the teepee: it’s like the gray paint bled onto the white part. Completely noticeable and on the front. I asked my husband if saw it while building, and bless his heart, after assembly said “yes, but I didn’t want to ruin your holiday spirit.” I wouldn’t be as upset if it was near the back or something. Just a waste to spend this much money, you would think they inspect these things. A few weeks before Christmas, I almost purchased a very expensive play tent at Pottery Barn Kids until I saw that their tag indicated that it had chemical fire retardant. I am so happy to have found this Mustard Seed play tent — there was absolutely no smell whatsoever when I unpacked it on Christmas Eve. 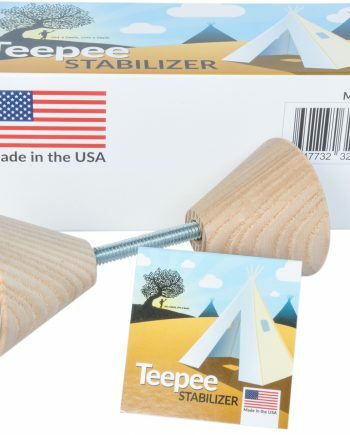 Thank you for providing a safe, non-toxic product — there are cheaper tee-pees online but I will happily pay $20 more for a non-toxic tent that I don’t have to worry will give my kids cancer down the road. I’m very, very satisfied with this product and would recommend to anyone ! It is a quality canvas teepee and my son loves it. 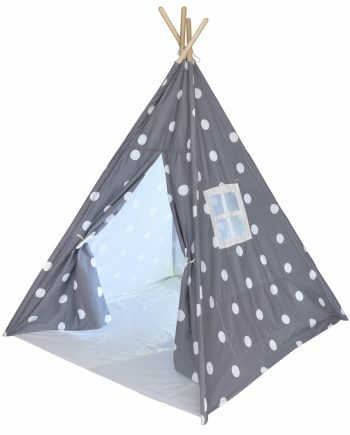 However, I ended up ordering a different teepee from another company because I wanted it to match his bedroom. Best teepee tent I found for the price. My girls 9 and 3 are very happy with it. Plenty of room for them. Instructions could use more detail or clarification but overall teepee was fairly simple to assemble. I did knock off one star due to a simple oversight on one of the poles. One of the poles had no threads at all to screw on coupling. I was able to tap the coupling on with a hammer and some love. I am sure I coule have contacted seller and had a replacment sent but this was a Christmas gift and I could not wait. 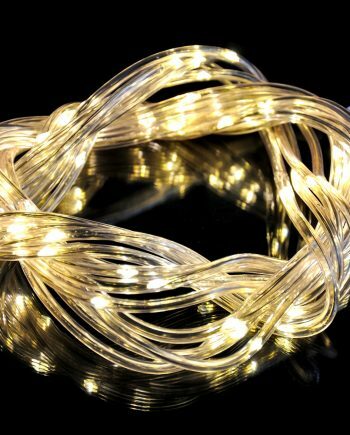 Overall it is a good quality product at a good price. Been almost 2 months with plenty of use and teepee is holding up well. Reviewed a lot of tents offered for sale. Purchased the one from Mustard Seed Toys an love it. It is a gift for my grandson’s birthday. The canvas is a nice weight, the tent has sleeves for the hardwood poles, and a has a floor. great choice and quality product.